Canadian progressive rock band Rush was the voice of the suburban middle class. In this book, Chris McDonald assesses the band's impact on popular music and its legacy for legions of fans. 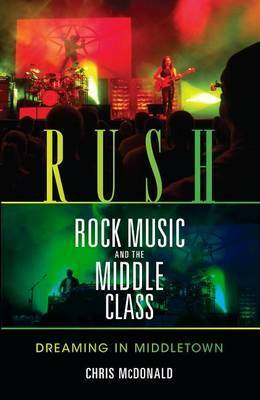 McDonald explores the ways in which Rush's critique of suburban life-and its strategies for escape-reflected middle-class aspirations and anxieties, while its performances manifested the dialectic in prog rock between discipline and austerity, and the desire for spectacle and excess. The band's reception reflected the internal struggles of the middle class over cultural status. 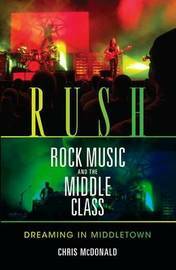 Critics cavalierly dismissed, or apologetically praised, Rush's music for its middlebrow leanings. McDonald's wide-ranging musical and cultural analysis sheds light on one of the most successful and enduring rock bands of the 1970s and 1980s. Chris McDonald is an ethnomusicologist who specializes in popular music studies. He teaches at Cape Breton University.